As you can see, the roots are “accountability and control” (positivist paradigm?) and social inquiry (post-positivist paradigm?). 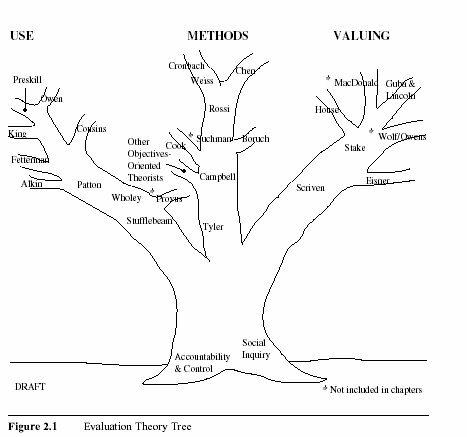 The branches are labeled “use”, “methods”, and “valuing”. Scattered along those branches are various theorists who were/are significant in evaluation and its development. Some of these theorists have models that I have talked about in previous blogs (Lincoln/Guba, Stake, House, Eisner). Some are known to me and need to be shared here (Cousins, Stufflebeam, Greene, Rossi). Some are unknown to me (MacDonald, Wolf/Owens, Suchman, who have not been invited to contribute). In the first edition, Alkin has invited chapters by most of the folks listed in the tree. The second edition lists more folks than the first. The metaphor of the tree has also been revised (see http://www.amazon.com/Evaluation-Roots-Perspective-Theorists-Influences/dp/1412995744#reader_1412995744). It now has leaves, some of which list the theorists, and a third root has been added: epistemology. Alkin says that the valuing branch stems from that root and is divided into objectivist and subjectivist views. Although I don’t own the 2nd edition (yet), it takes a more global coverage but “…no chapter emerged on development theory in low and middle income countries (LMICs)”. This quote is taken from an article written by Alkin and Fred Carden in the January 2012 issue of Journal of MultiDisciplinary Evaluation (8, 17, 102-118). They suggest “…evaluation analysts…build a more comprehensive knowledge and documentation on development evaluation and more broadly on building the field of evaluation in LMICs.” It would be valuable for the global south to be represented. The metaphor makes it easy to categorize the various views of evaluation; provides the reader with names to follow; and provides a history of sorts of evaluation. It would be interesting to see what is being done in the world they don’t address. Perhaps there is a novel approach that will be a newly leafed bud by someone who has yet to be named. Then it wouldn’t be a history…it would be contemporary. 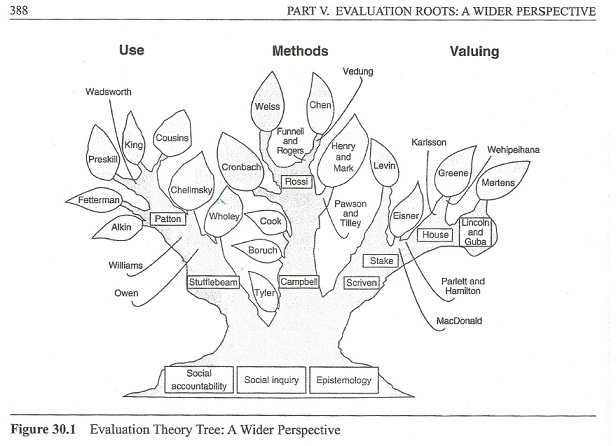 The tree is an interesting overview of leading evaluation theories. When I first saw it I was struck by how many of the theories are men. Hopefully, we’ll be seeing more women evaluation theorists joining the tree soon! 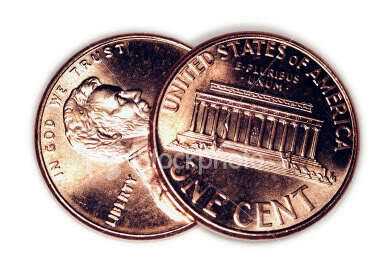 Thank you, Pablo, for reminding me of the Carden and Alkin article. It shows the revised (yet again…a fluid view to be sure) theory tree. I think the original tree is useful for folks new to evaluation; for those working in the field for several (read, many) years, it doesn’t include current theories (the newer one does, though). To really understand the field and advances/changes, a tree must be fluid, not unlike the seasons. Bernadette, The original tree includes very few women…originally there were few women in the field (the field now has many more–though not necessarily theoriests). The tree revisions list more women; a good thing, I think. It takes a lot of thinking and doing to get a good theory.